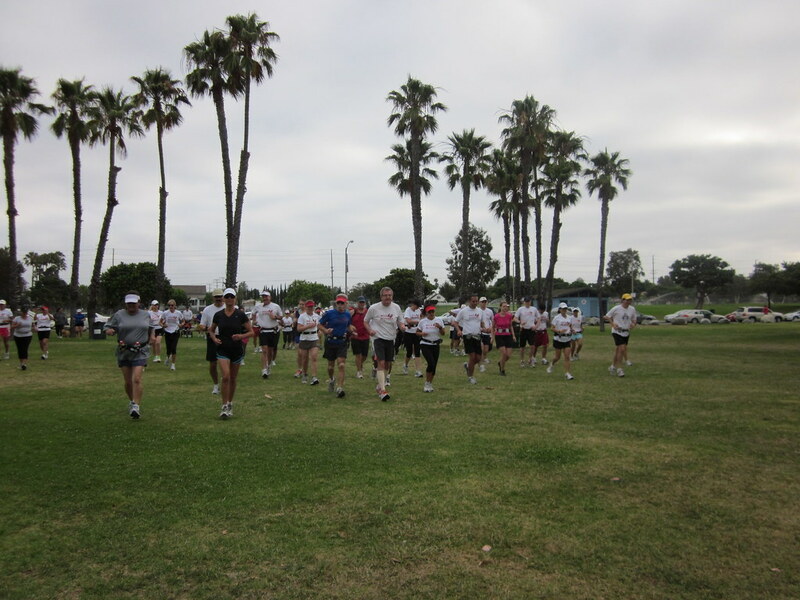 Last Saturday, the Green Girl joined the Sole Runners at Marina Vista Park for another long run. My right hamstring was still sore from last week's run so I opted to do this run sans metronome. The morning warmed quickly and I found myself drinking more sports drink and water than usual. For the first time, I ran all the way to Queen Mary and I finally got to partake in the Sole Runners tradition of 'touching the Queen'. 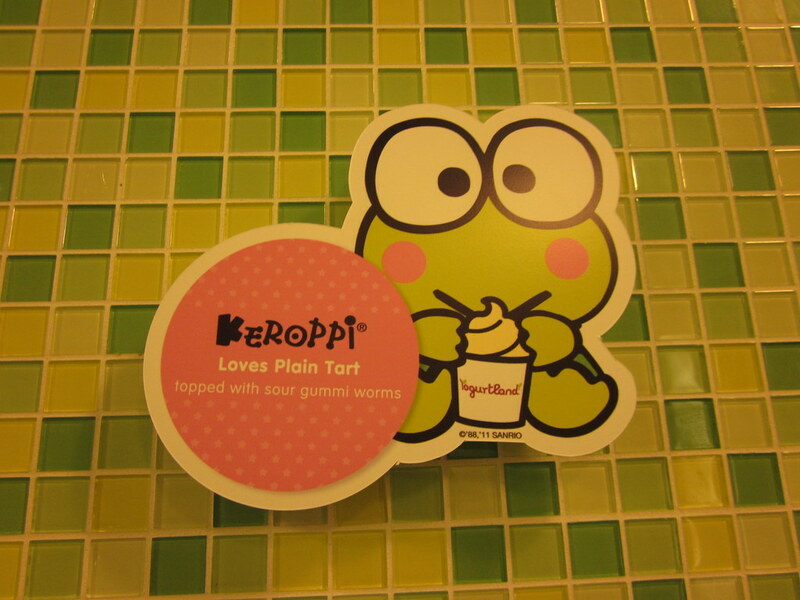 On the way back, I stopped at a convenience store to get something cold and sweet to drink. I also slowed down and walked quite a bit with another Sole Runner, Felicia. I managed to do 14.17 miles in 3:12. In the evening, I met up with Jill from Run With Jill and her son, Brandon. They were in town to hike Mount Whitney. 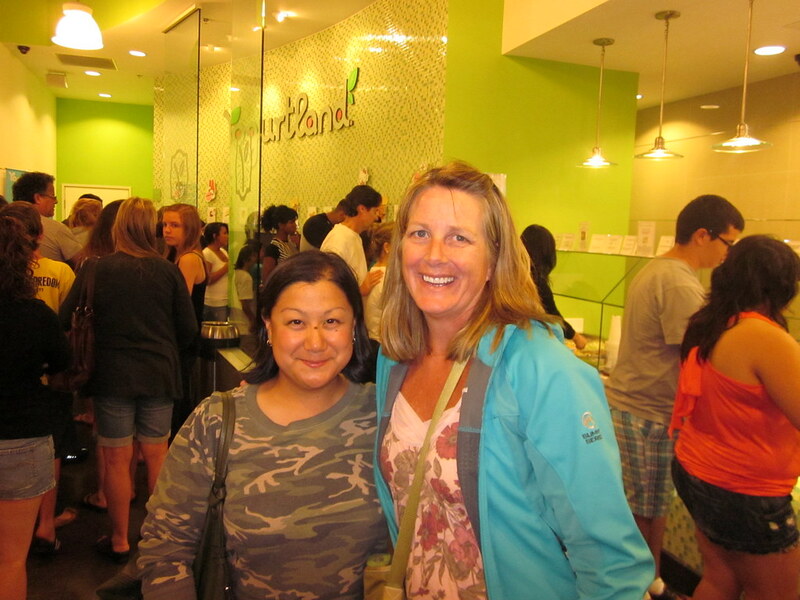 After having Pinkberry with Jill in Denver last month, I was looking forward to introducing her to my favorite self-serve frozen yogurt place, Yogurtland. Jill and I had a great time catching up and talking about everything and anything. I'm disappointed I won't be able to make it to Meg from Meg Runs! 's upcoming blogger get together but I have a coworker's wedding to attend up in Camarillo this weekend. 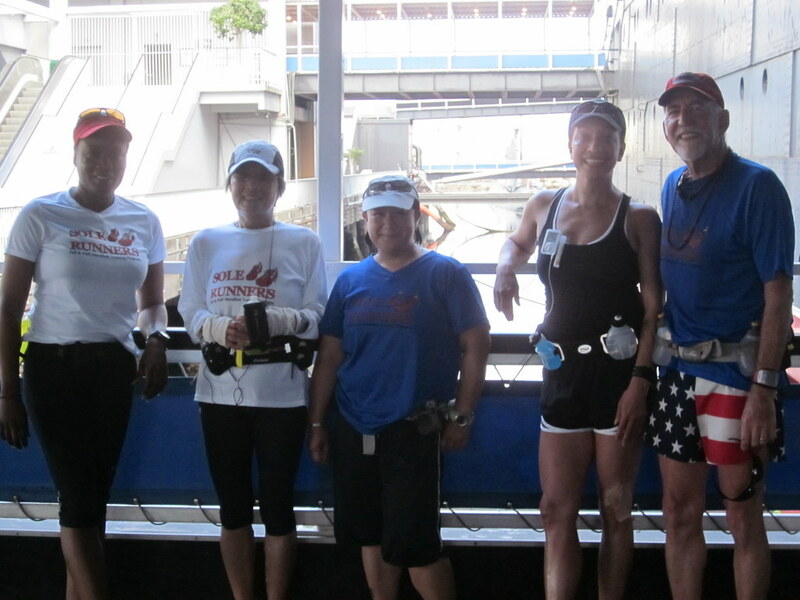 Last Saturday, the Green Girl joined the Sole Runners for her long run. 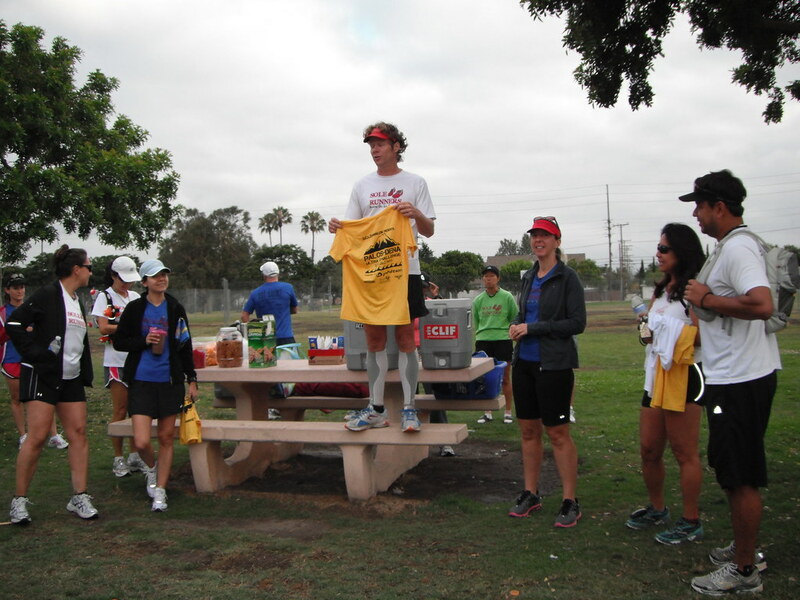 Coach Steve handed out Palos-Dena Ultra Challenge 52.4 / 26.2 shirts and honored all the Sole Runners who took on the challenge this year. 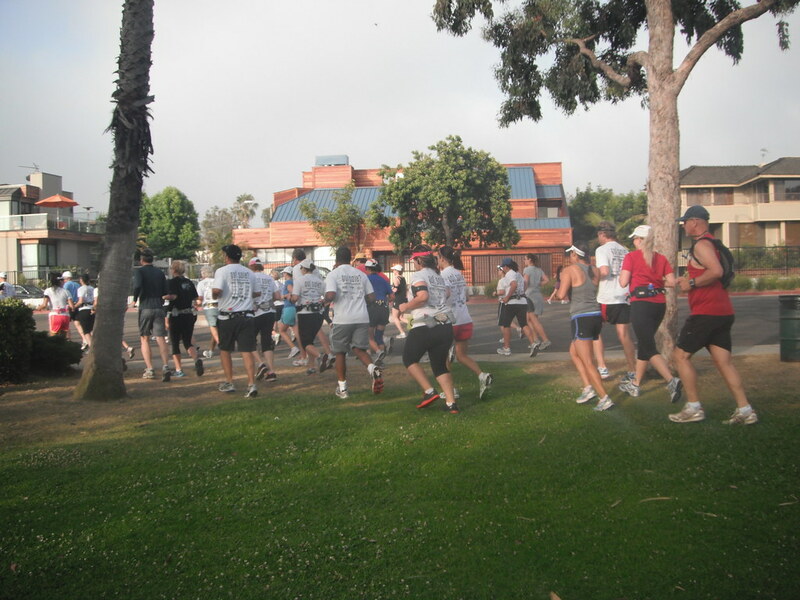 Runners who registered and completed both the the Palos Verdes Marathon (full or half) and Pasadena Marathon (full or half) which took place on a consecutive Saturday and Sunday in May, were qualified to join the Ultra Challenge Challenger Club. I was anxious to see if my faster times at the track could translate into an improved pace on longer runs. As we headed out for our run, Coach Steve suggested I increase my cadence. He commented that my foot turnover was looking good at the track and I needed to keep that up. I had left my metronome in the car so another Sole Runner, Katie, loaned me hers. Coach Steve set it to 58. The cadence was faster than what I'm used to do I struggled to stay on the beat but when I looked down at Mr. Green Garmin and saw I was consistently under a 12 minute mile pace, I was motivated to keep it up. I ended up doing 13 miles in 2:37 - a 12:07 minute pace. When I got back, I decompressed with some post-run yoga and then headed to breakfast with one of the Sole Runners, Michelle, and her boyfriend, Donovan. The Green Girl and Lexa decided to take advantage of the Fourth of July holiday weekend by going on back-to-back long rides in preparation for the three day Tour DaVita. 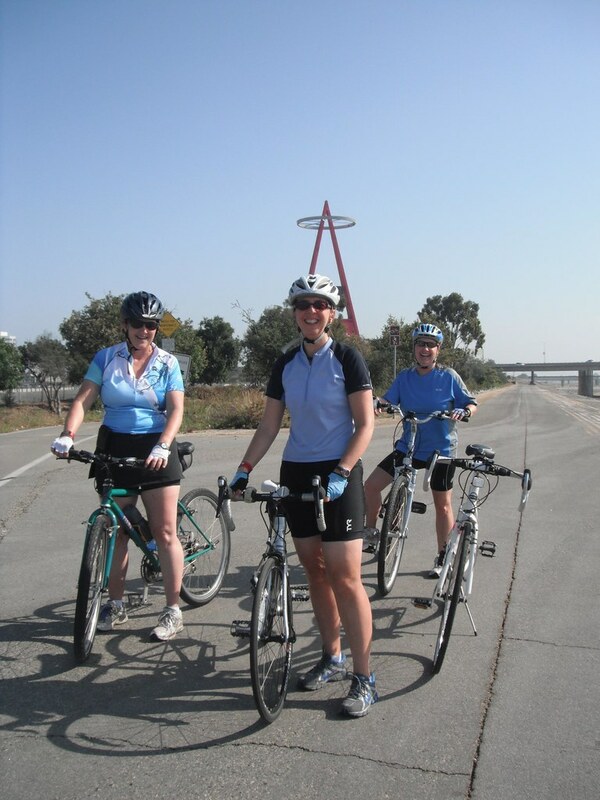 Sunday morning, we joined Sole Runners, Isabelle, Kathleen, and Monica, for an easy 30 mile ride on the Santa Ana River Trail. After riding every other day for a couple of months now, I am starting to feel more confident in my cycling ability. The marine layer was absent and the weather was much warmer than past weekends. 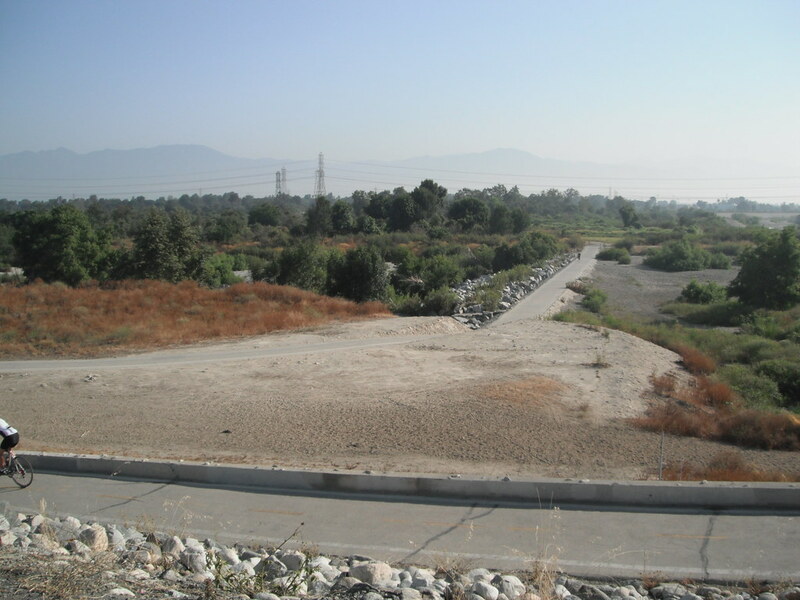 The morning of July Fourth, I met up with another Sole Runner, Richard, at the El Dorado Neighborhood Library parking lot and we headed north on the San Gabriel River Trail. We had hoped to beat the heat by getting an early start but it was already hot. I was well prepared with plenty of sports drink and water. I was pleasantly surprised by how good my body felt after doing 30 miles the day before. We were about halfway into our ride when I heard a pop from Richard's tire and then we could hear it deflating. To avoid the scorching heat, we exited the river trail and set up shop in the shade of a gas station. Neither one of us had ever changed a tube before but I assured him I was confident I could do it. 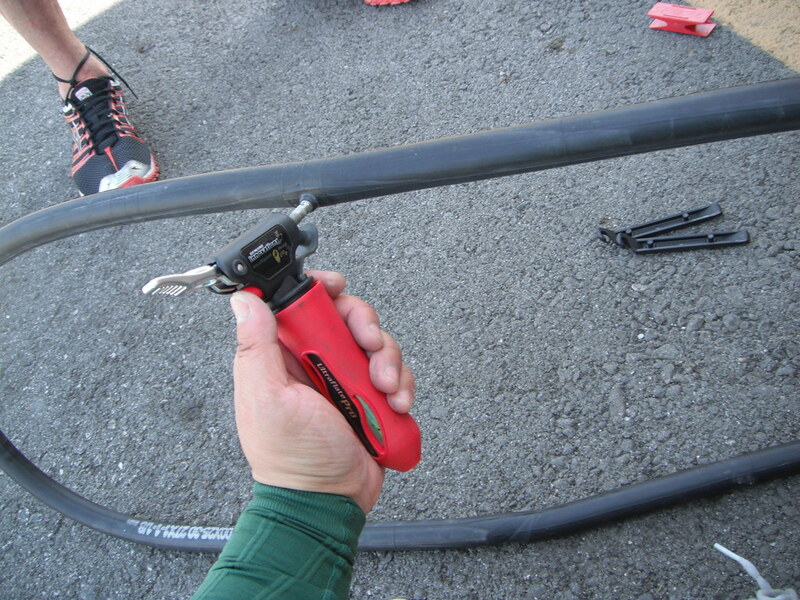 Interestingly enough, we identified a cut in the tire itself but we could not find a tear in the tube. We even blew it up out of curiosity and it didn't lose any air. 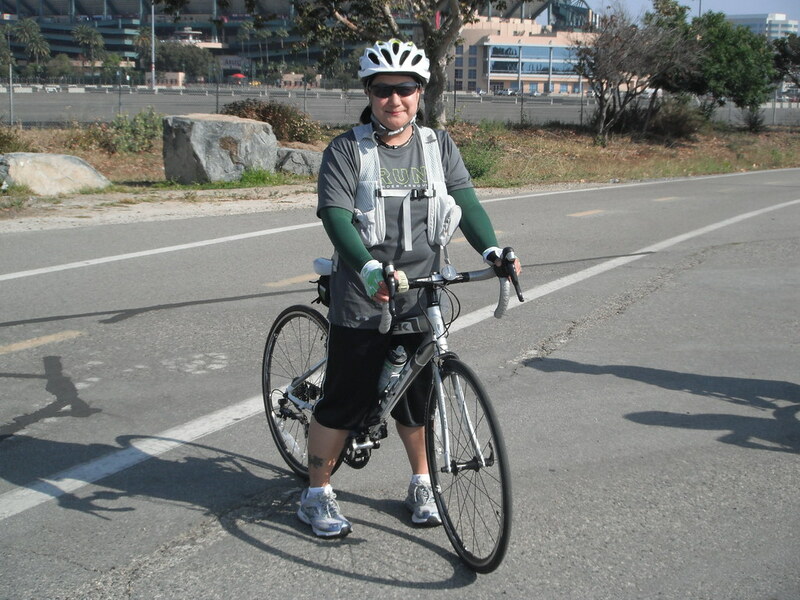 A half hour later, we were on our way to continue our 50 mile ride in the hot Southern California sun. The Green Girl joined the Sole Runners for a Saturday morning active recovery run yesterday. Coach Steve builds active recovery weeks with lower intensity and volume into our training schedule to give our bodies a chance to repair and refresh. For my active recovery week, I cut back on my workouts and didn't double up every day. I also made a conscious effort to stretch as much as possible. After the usual announcements, Coach Steve went through the ChiRunning body looseners. The order of the body looseners are from the ground up so we always start with the ankle looseners. 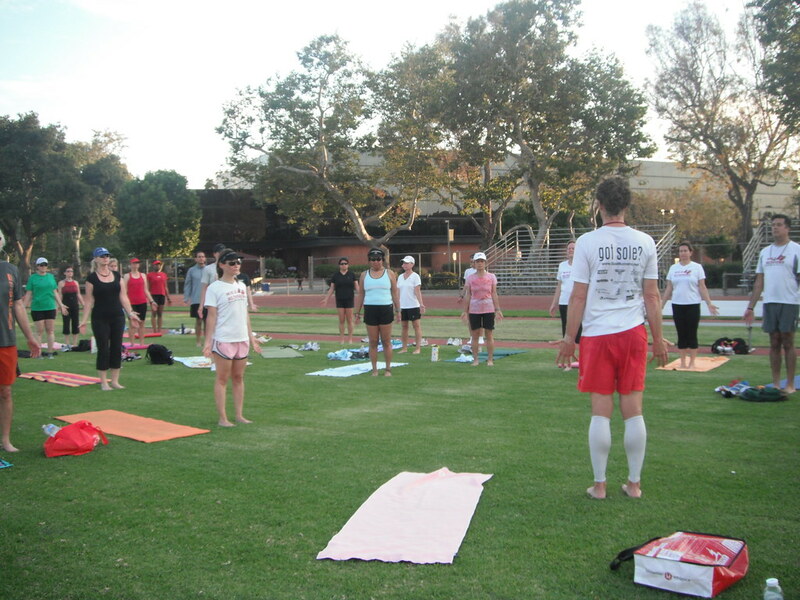 Before the Sole Runners head out, we always get into our ChiRunning stance by lengthening our posture, leveling our pelvic floor, and then leaning until we fall into a run. 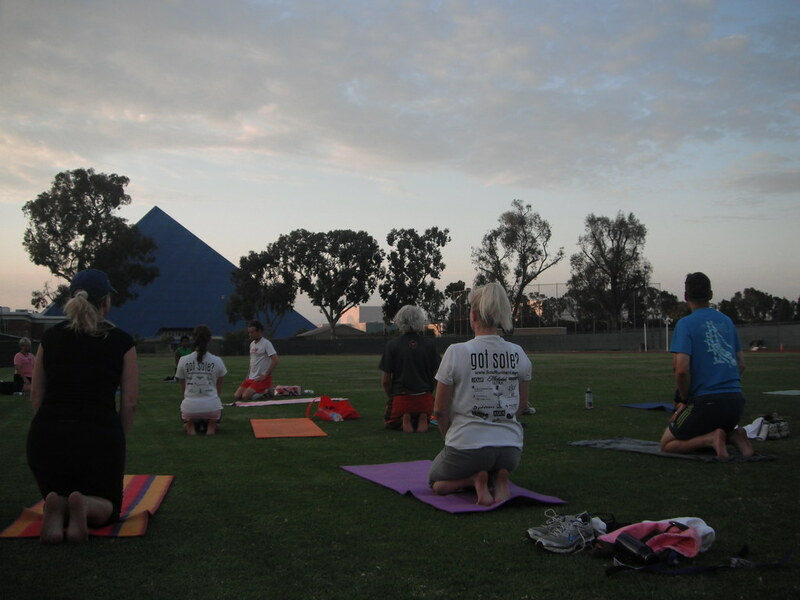 Since it was an active recovery week, we all ran for an hour before we did our post-run yoga. 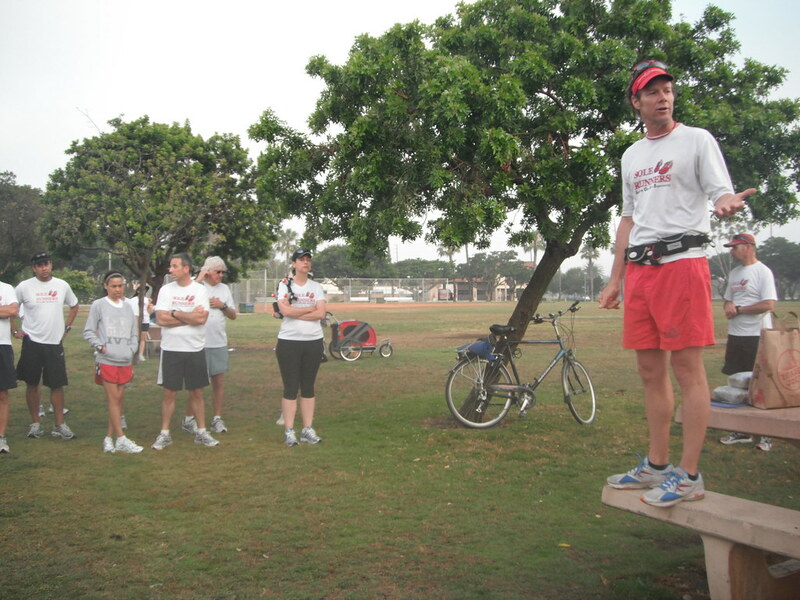 Following the run, I attended Coach Steve's Advanced ChiRunning Training for Mentors class. The session was extremely helpful and we learned a number of advanced ChiRunning techniques. When I was first introduced to ChiRunning, I was unable to incorporate the concepts into my running form. I wasn't until I signed up for a two hour private ChiRunning Workshop with a ChiRunning Certified Instructor, Coach Steve, that it all came together for me. 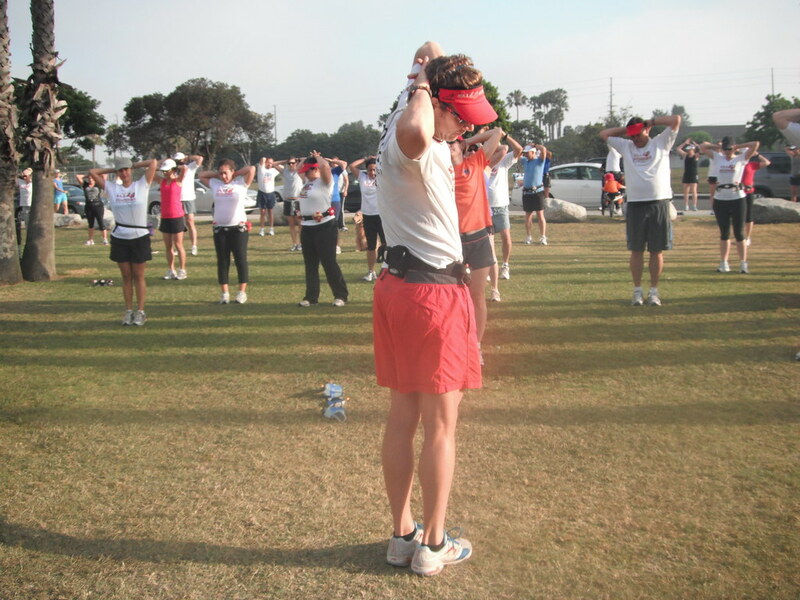 I can honestly say attending Coach Steve's workshop transformed my entire Running Green Girl life. 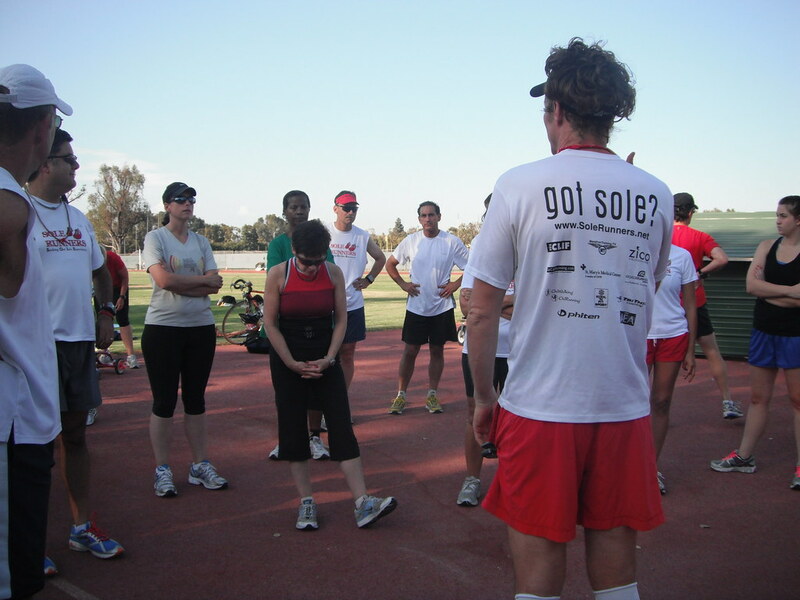 It inspired me to join the Sole Runners and ChiRunning has significantly reduced my injuries and recovery time. 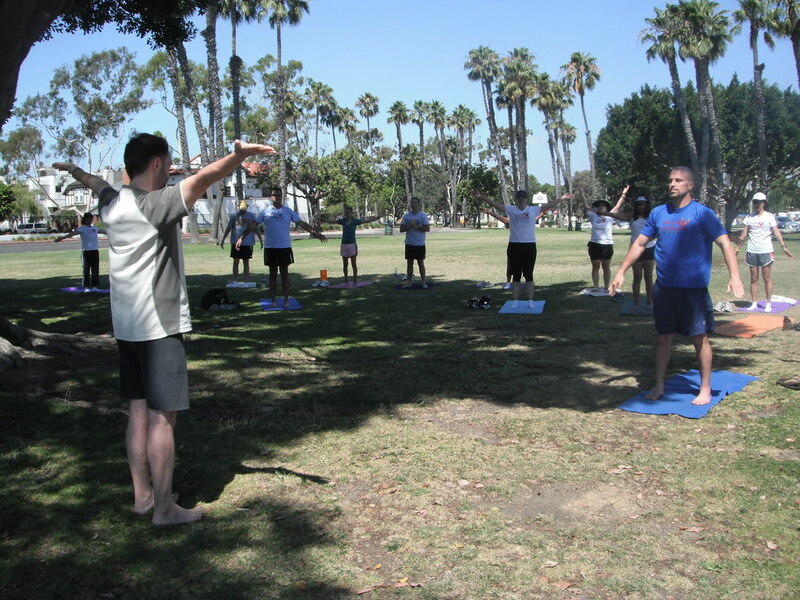 I would recommend his Southern California ChiRunning Workshops and Retreats without hesitation to anyone who is interested in learning proper form and techniques.